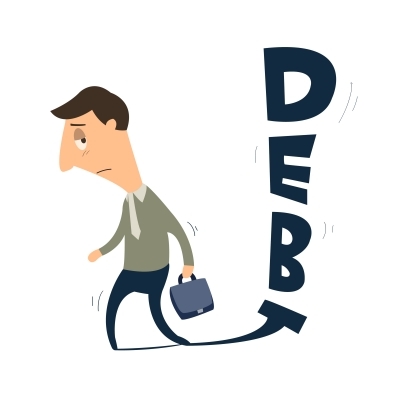 If you are looking to pay off debt, the first place you’ll probably look is at your monthly expenses. That’s what my wife and I did when we wanted to pay off our mortgage early. We wanted to squeeze some extra money out of our budget. To do that we needed to cut expenses. We looked long and hard at our budget and made some adjustments. While we were paying off our mortgage we disconnected our cable TV, ate out less, spent very little on things around the house (like landscaping and home furnishings) and pretty much stopped going to movies just to name a few things. The extra money we saved by cutting our expenses and changing our lifestyle we put towards the mortgage. For us that was enough to speed up the process. We were overspending in some areas in the worst way. Believe me when the sacrifice was worth it to not have any debt following us around. But for many others simply cutting expenses in the budget will not be enough to pay off debt at the pace the want. The reason is that you can only cut expenses so far. You’ll still need money to pay for food, housing, utilities, transportation and clothing. All those things cost money and you can’t eliminate them entirely from your budget. That leaves many who want to pay off debt frustrated. They’d like to pay off their debt faster but they just can’t. There is too little money to go around and nowhere else they can cut expenses. What they are missing is that there is actually a two-step process to find the money to pay off debt. Cutting expenses is only half the equation.